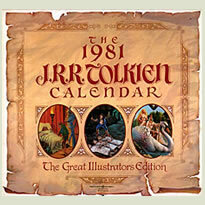 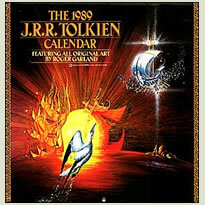 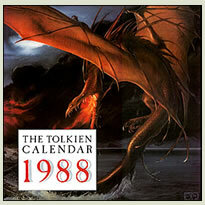 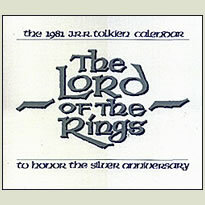 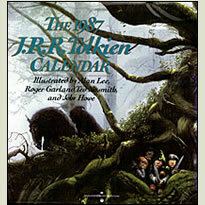 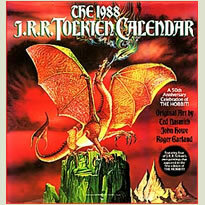 The J.R.R.Tolkien calendars have been published since 1973, and appear every year since then (except 1983). 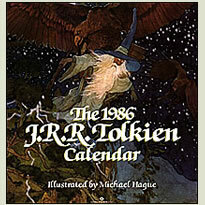 In the beginning they were mostly presenting Tolkiens own drawings and pictures. 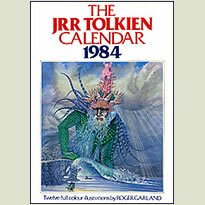 Later on also other artists appeared like the Hildebrand brothers, H.E.Ridett, Roger Garland, Ted Nasmith, John Howe, Michael Kaluta, Michael Hague, Inger Edelfelt,e.a. 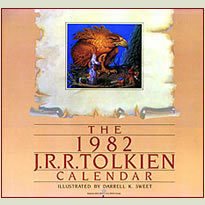 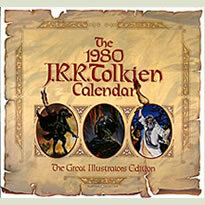 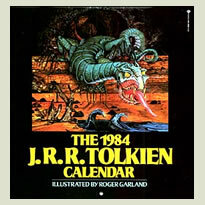 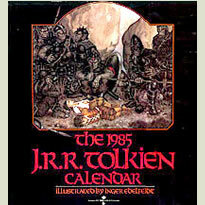 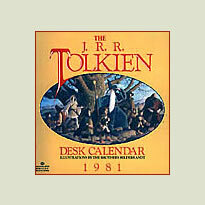 There also have been published numerous Tolkien calendars depicting illustrations from the movies, first from the Bakshi movie in 1980 and now-days even more different calendars appear with the Peter Jackson movies.